The Department of Heath and Social Care has won a High Court ruling on its decision to award a £730 million contract to Unipart to take over the National Health Service logistics operations. Unipart was awarded the contract, worth some £730 million, to deliver medical equipment to the NHS. DHL, the incumbent, took legal action on the basis that the DHSC had behaved in an improper manner during the awarding of the contract including: failing to apply its own published selection criteria; applying undisclosed selection criteria; and breaching its duties of equal treatment and transparency. an application by the Defendant (DHSC), supported by the Interested Party (Unipart), for the lifting of the automatic suspension which arose on issue of the claim and which prevents DHSC from entering into a contract with the successful tenderer, Unipart. 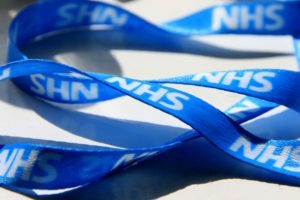 The logistics contract is being let as part of the government’s new operating model for the NHS supply chain. DHL has already won a number of contracts under the new operating model.